If you can buy a pair of readers from the drugstore for your vision, why can’t it be that simple for your hearing? It’s a common misconception. Truth be told, although hearing and vision are both senses, that’s about where the similarity ends. 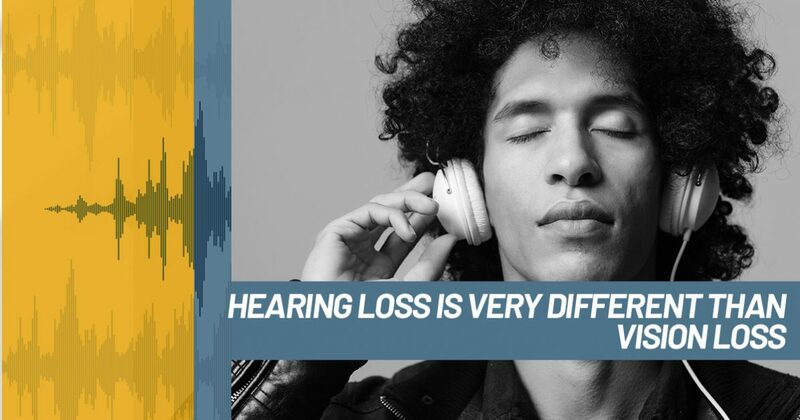 In other words, losing your hearing is much different than losing your vision — and in this blog, we list a few of the reasons of how they differ. At Audiology Innovations, we provide hearing loss services as well as complete hearing evaluations. Contact us today for more information! Correcting hearing loss is more complex. Vision loss can often be corrected to a normal level with eyeglasses while hearing devices cannot restore hearing to normal. In other words, you can’t expect to have “20/20” hearing from wearing hearing aids like you can with your vision from wearing eyeglasses. According to the CDC, refractive disorders — such as nearsightedness, farsightedness and astigmatism — are the most frequent eye problems in the United States, affecting as many as 11 million Americans aged 12 years and older. The good news? In these cases, eyesight can be corrected back to normal vision with the correct prescription eyeglasses, contact lenses or corrective eye surgery. As for your hearing, although hearing device technology has improved substantially in the last 10 years, hearing aids can’t repair the damage to the hair cells of the inner ear. These hair cells do not regenerate, so when they die or are damaged, the brain has a harder time interpreting the signals they send. Hearing devices are great at amplifying the sound coming into your auditory system; however, it is inherently more difficult for them to pick out the signal of interest than it is for your brain. Digital hearing aids have made great strides in this area — hearing aids today are very good at processing complex sounds to pick out the useful signals. Unfortunately, the average person waits several years to get their first hearing aids, reducing the stimulation of the auditory portion of the brain during this time. When the hearing aids are finally fitted, the first time user often needs to retrain the brain to grow accustomed to the wide range of sound stimulation again. The auditory system is more difficult to access. Eye surgery can correct a variety of vision problems while most hearing loss cannot be surgically corrected. 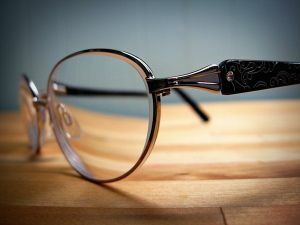 Modern medical science has discovered how to replace and reshape the lens of the eye to correct problems such as nearsightedness, farsightedness and astigmatism. Additionally, cataracts, which are the leading cause of vision loss in the United States, can be surgically removed. The CDC estimates 20.5 million Americans age 40 and older have cataract in one or both eyes and 6.1 million have had their lens surgically removed. Photorefractive keratectomy (PRK) surgery corrects myopia and laser in situ keratomileusis (LASIK) surgery corrects those who are either nearsighted or farsighted. All of this is made possible by the surgeon’s easy physical access to the eyes. Those with conductive hearing loss may be able to have their hearing restored, as this condition is typically associated with an obstruction in the ear — such as excess earwax, an ear infection or damage to the bones of the middle ear. Unfortunately, it’s not the same for those with sensorineural hearing loss, which accounts for as much as 90 percent of all hearing loss. Those with this type of hearing loss have damage to the inner ear or the nerve that runs from the ear to the brain, or even the brain itself. The location of the inner ear, deep within the temporal bone, makes it difficult to access the structure for repair, even if we could repair or regrow those delicate hair cells of the inner ear. Both your vision and your hearing are important senses which should be evaluated on a regular basis. According to an article on vision loss on MedicineNet.com, nearly half of Americans worry more about going blind than losing their memory or their ability to walk or hear, yet 12.2 million adults who require vision correction don’t use any. And 48 percent of parents with children under 12 have never taken their child to an eye care professional. The statistics aren’t much better when it comes to hearing. Research indicates the average person diagnosed with hearing loss waits an average of seven to 10 years before seeking treatment. During that time, other medical and social problems such as an increased risk of developing Alzheimer’s disease and dementia as well as anxiety, depression and social isolation can result. Eye care professionals recommend adults have their vision tested every two years, while hearing healthcare professionals recommend having a baseline hearing test at age 50, with follow up exams annually after the age of 55. Naturally, if you experience any difficulty with either your vision or hearing, you should seek medical treatment immediately. At Audiology Innovations in Calgary, we provide a variety of services to help you with your hearing loss (or someone close to you). Have any questions? You can call us at (403) 252-4722 or fill out our online form here.